As the saying goes, safety first! Safety should be your most important priority when it comes to owning a pool. Having a pool in your yard makes for some great memories, but it can also be dangerous if you don’t take the proper precautions. If pool safety isn’t at the top of your list of priorities, then it’s time to change that. 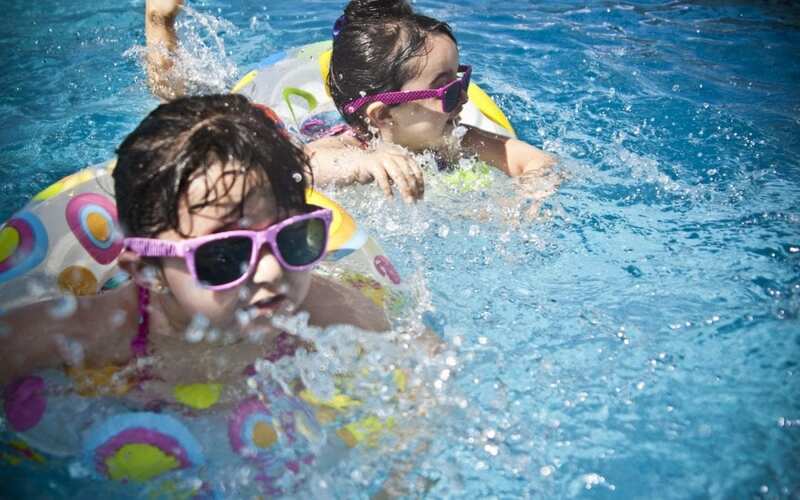 Children, especially young and small children, should never be left unattended in or near a pool. Pool safety starts with the parent. Ensure your children are safe by always keeping your eyes on them and always being nearby in case they need you in a hurry. Remember that children who haven’t quite fully developed their swimming skills need particularly close attention when they are in or near the pool. If you’re particularly afraid of something happening when you’re not around, consider opting for pool safety equipment. You can install things like pool fences, alarms, and covers to better secure and protect your pool area. Swimming in a pool is a fun recreational activity for all ages. But being able to swim properly can be a life-saving skill. Be sure that you and your children take the necessary steps to become the best swimmers you can be, including swimming lessons and safety courses. Swimming lessons can be found at little or no cost by checking local resources. This is a vital step in proper pool safety techniques. Pool drains can be one of the biggest hazards associated with swimming pools and spas or jacuzzis. Teach your children to avoid swimming near pool drains and suction areas. These are necessary components of a healthy pool, but hair, limbs, swimsuits, and other items can get sucked into the drains and hold a child or even an adult under the water, causing a massive safety hazard. So be wary of drains and make sure yours are working properly and are correctly covered at all times, or else don’t swim in the pool until these items are fixed. CPR, or cardiopulmonary resuscitation, is an essential tool in aiding a victim of drowning. Generally speaking, regular bystanders are usually the first on the scene when a child or adult is found to be drowning, and using CPR can greatly improve the victim’s chances of survival. Taking a quick CPR course is usually fairly inexpensive or even free and can be used to save the life of a stranger or a loved one. If you own a pool, learning CPR is one of the best ways to increase the safety of those who swim in it, even your own children. And it’s worth noting that many children can easily learn CPR as well, further increasing the safety of your friends and family! Inspect It Neil Home Inspections provides pool inspections in addition to other home inspection services in New Jersey. Contact us to schedule your inspection.